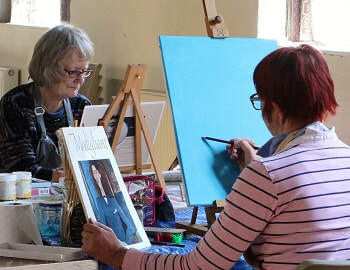 The Sherwood Art Class was established in 1999 by professional art tutor and artist Matt Swain. His classes are ideal for anyone looking for a relaxing and absorbing pastime, or for art enthusiasts that would like to learn more about this fascinating subject. While most people attend his courses simply for the enjoyment they gain from being creative, some have gained the confidence to exhibit and sell their work. As well as his original class at the Sherwood Community Centre he now teaches two more painting courses at St Paul's Church Hall in Arnold, which are suitable for beginners and improvers. Step by step guidance on drawing techniques for complete beginners. Inspiration is taken from paintings by a well-known artist at the start of each project. 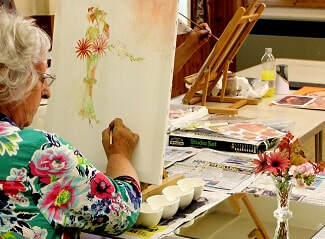 Explore your own artistic interests with expert advice and support.